Ironically, my favorite time of day is when I am the most tired and depleted. Just after bath and before bedtime is our story time. Though my husband and I are on our last leg, we revel in this magic hour. We try to keep it to 3 books or else Rowan would have us reading all night long. It is a snuggly time with our little guy sandwiched between us, as we each take a turn reading a book of his choosing. I will admit sometimes I am so exhausted I just just wish that we could cut it short. Then, I remember that this time is fleeting, and these moments are sweet gifts. Oh the Places You’ll Go! is one of my very favorite books. Inspiration hit after reading it for the millionth time this past weekend. 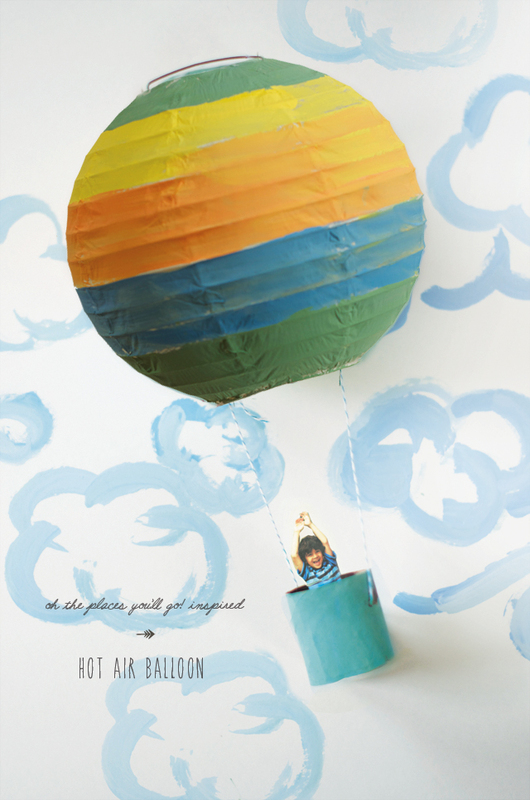 A paper lantern turns into a colorful balloon, and by adding a photo of Rowan, it becomes personal and fun. Oh the Places He’ll Go! 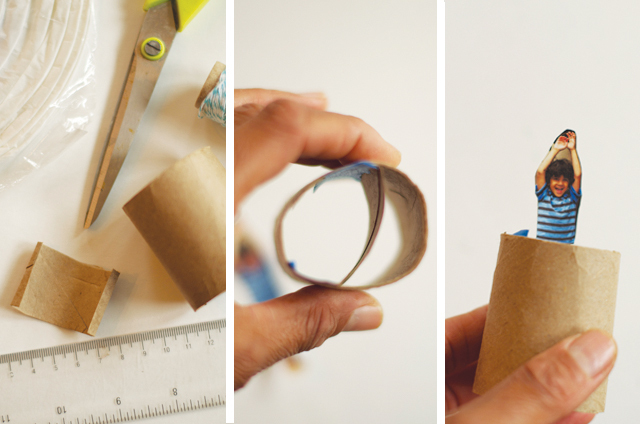 Cut paper towel roll into approximately 2 inch piece to create your basket, and paint. 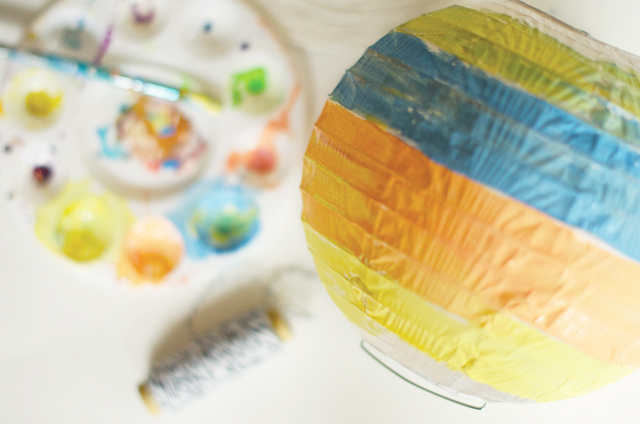 Assemble paper lantern and paint. Set both out to dry. Cut a 2 inch rectangle of paper roll. 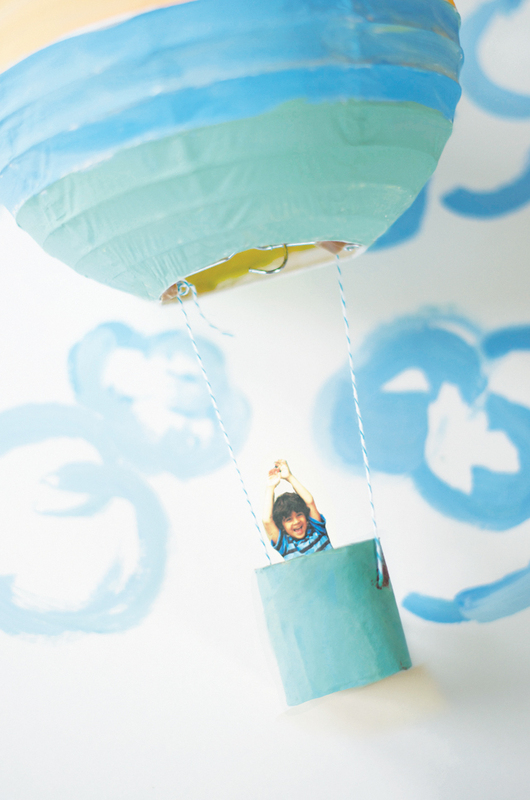 Attach it inside the basket to create somewhere to adhere your child’s picture. Cut picture of your child, and tape it to the cardboard bar. Punch two small holes on either side of roll for the string to go through. After the basket is dry you can string it, and tie to the paper lantern. Have a great trip Rowan! What a clever idea!!! 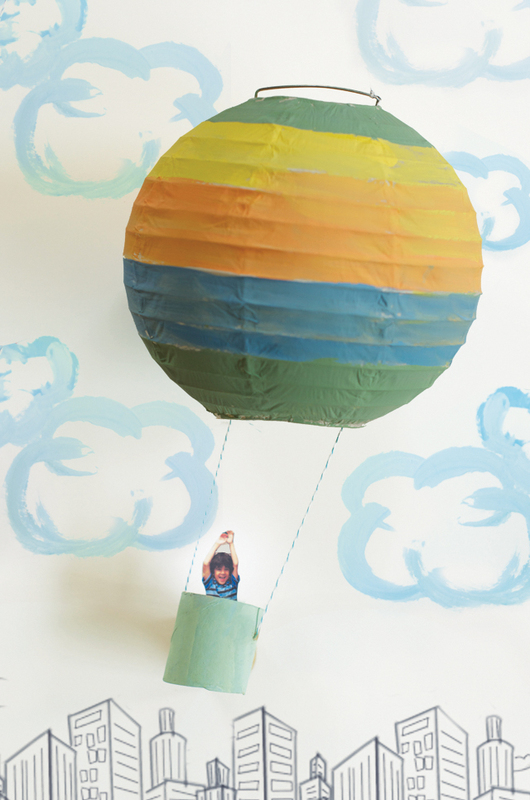 Up and away my little baby!!!! Kisses from Greece!! !